A 4700 PAIA synth is briefly shown in the 1986 cult classic Troma movie “Class of Nuke ‘Em High.” A group of invaders takes over the high school principal’s office and commandeers the PA system. One of the group grabs the microphone and announces to the student body that the school is under a nuclear emergency and “this is not a drill.” He then turns a knob on the PAIA synth and the sound of the nuclear alarm alert is played over the PA speakers. 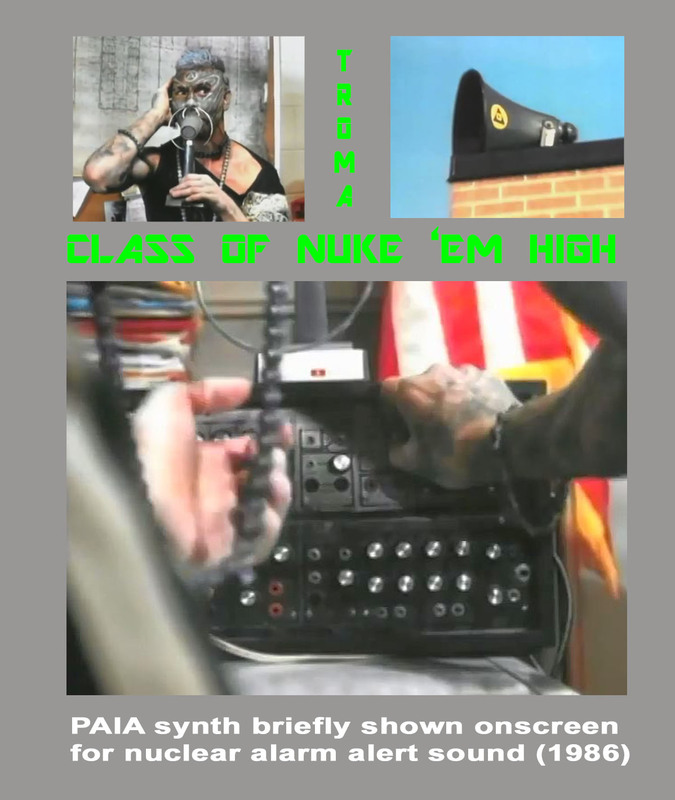 The synth is only shown for about a third of a second and serves as a stand in for whatever piece of equipment in a high school is supposed to be the nuclear alarm alert system.